This post brought to you by VinoVinti. All opinions are 100% mine. 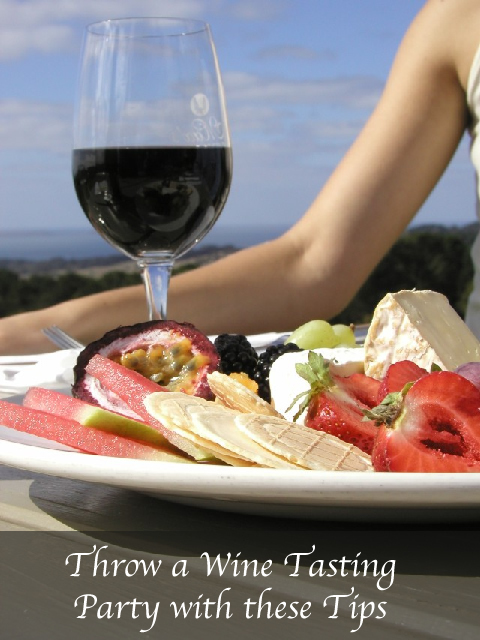 Wine tasting parties are not just for the rich! In fact, hosting a wine tasting can be less work and less money than holding a cocktail party. Here are some ideas for holding a wine tasting in your home. Depending on the number of guests, you will need multiples of each item above. You will want to make sure you have a VinoVinti on hand. What is a VinoVinti? In technical terms, it is a Carbonic Acid Extractor. In lamens terms, it removes excess carbon dioxide from wine, improving the flavor and adding years of smoothness in seconds. It is faster than decanting and more effective than aeration. So, having one on hand will save you the time of decanting your wine. You can check out VinoVinti on Facebook or watch this video that shows you how it works. It wouldn’t be a wine tasting without the cards! You can make your own, or you could search for one to download and print. Here is a tasting card I like from RealGoodWine.net. Don’t forget the pencils! Make sure you have enough for all of the guests with a few extras. Obviously you will need these! If you don’t have enough glasses to give each guest multiples for each wine, make sure you have a pouring bucket for extra wine between each tasting. You are going to need plates, napkins and utensils. Also make sure you offer your guests water between tastings. After using the VinoVinti during your wine tasting, your guests are definitely going to want to check it out for themselves! Wouldn’t it be a cute idea to give one as a party favor for each couple? Or you could give one away as a door prize! Looking for a great present for the holidays? You should definitely go to the VinoVinti store! They even have a gift pack so you can purchase this great gift for multiple wine-loving friends. What do you think? Are you going to check out VinoVinti at your next wine tasting party? Looks fun! We used to have little wine tasting parties when we lived in CA near Napa!